The W5500 Ethernet with POE IOT Board is the newest member of the DFRobot Ethernet family. 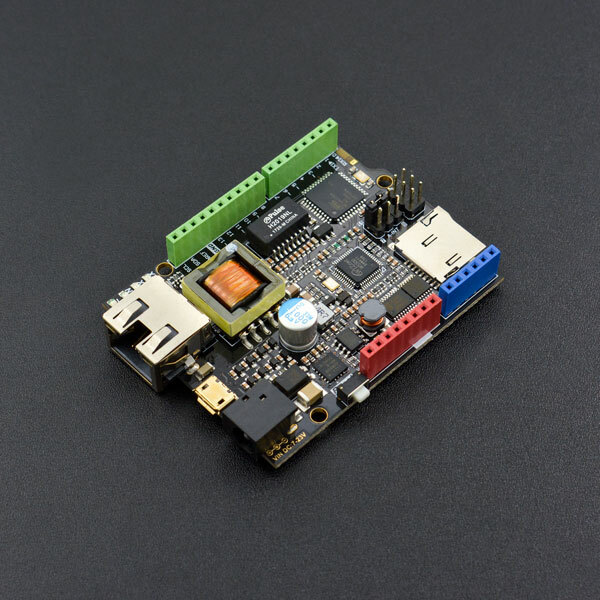 It Is a microcontroller based on the ATmega32u4 and W5500 Ethernet chip with the same footprint as an Arduino Leonardo board, as well as being compatible with most Arduino shields and sensors, making it suitable for many kinds of IOT applications. The W5500 chip is a hardwired TCP/IP embedded Ethernet chip that provides easy internet connection for embedded systems. 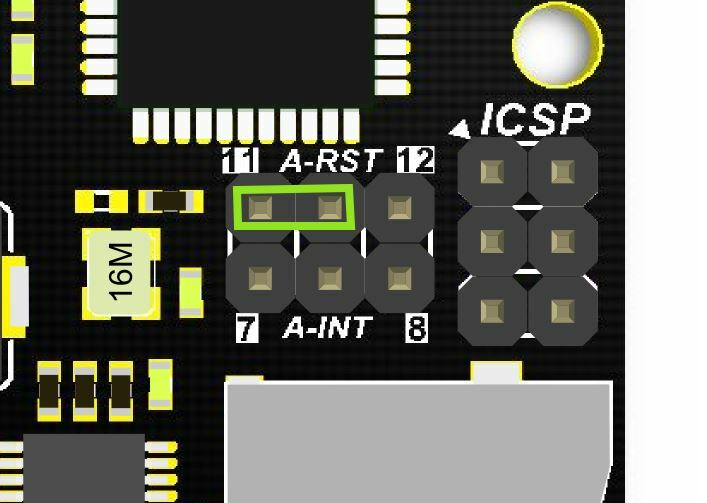 The board has the TCP/IP stack, 10/1000 ethernet MAC and PHY embedded, allowing internet connectivity in the users application using just the board and nothing else. The W5500 Ethernet mainboard uses a high-efficiency SPI protocol which supports a speed of 80MHZ for high speed network communication. In order to reduce power consumption it also includes WOL (wake on LAN) and power down modes. The board can be powered using a regular VIN, or POE as the power supply. It also integrates a power regulation chip that allows it to work under a complex environment. We recommend that you remove the jumper caps if you don't need to use the W5500 reset and interrupt functions, or pins 7, 8, 11 or 12 may not function properly. NOTE: Good news! You can use arduino IDE v1.7 from Arduino.org which has "Ethernet 2" library, which works with this board. It means you don't have to download any modded libraries. Thank for the Vladimir Akopyan comments. Welcome share your projects and comments on the Disqus. Note: These parts should be declared at the beginning of the sketch. NOTE: If you want to skip the serial monitor step, you can comment out the lines waiting for !serial, and add a line: delay(2000); to ensure that initialization has finished. 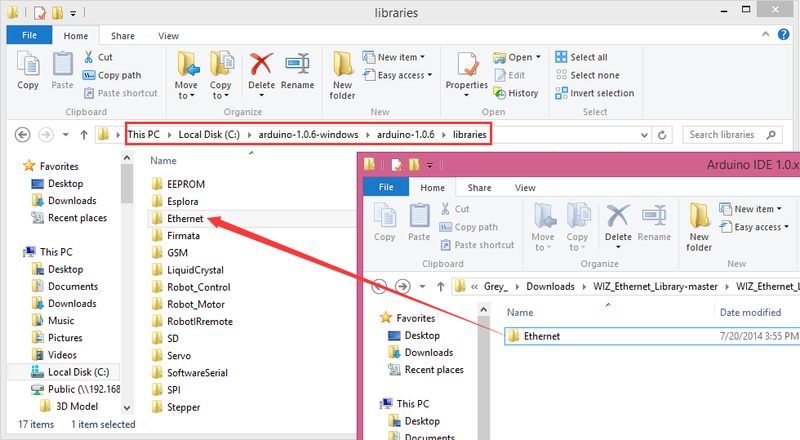 Q How to set the IP address? 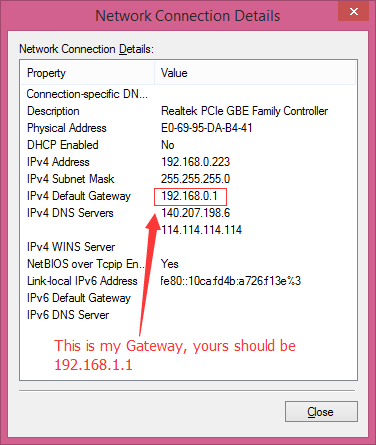 A Open your Network connection properties, and check the IPv4 Address and Gateway. The first three numbers should be set as same as on your board. The last number can be any number between 0-255, as long as it is not occupied by any other devices. 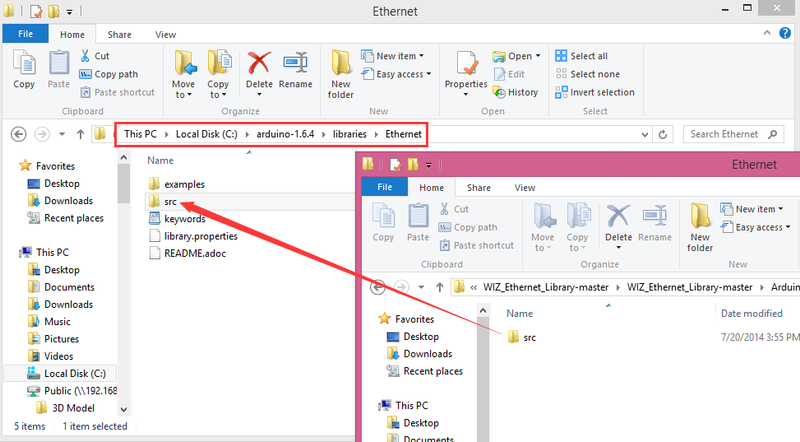 A The Ethernet library that comes along with Arduino IDE is for W5100 Ethernet shield, which is not compatible with W5500. Hence that you need to replace this library with the new one as instructed. Q How to use the onboard micro-SD card slot? A Use it as the normal one using Arduino SD library is ok. Note that because the W5100 and SD card share the SPI bus, only one can be active at a time. For more, please check on Arduino, Arduino Ethernet Shield. Get it from W5500 Ethernet with POE IOT Board or a DFRobot Distributor.